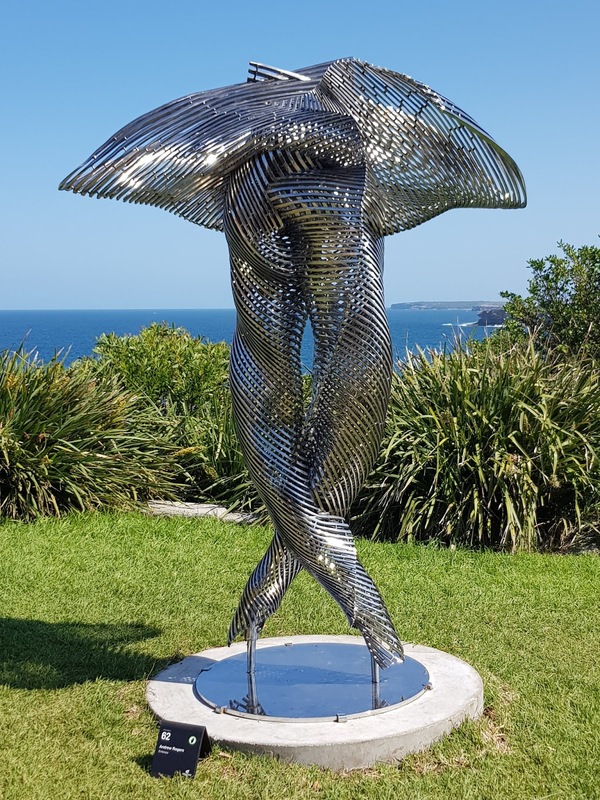 The 22nd annual Sculpture by the Sea is the world's largest, free to the public, outdoor sculpture exhibition. Sculptures were located along the two kilometre coastal walk from Bondi to Tamarama from 18 October to 4 November 2017. 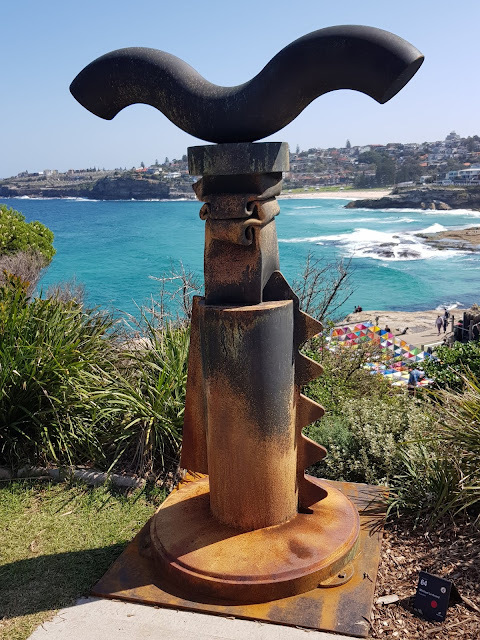 These sculptures are in Marks Park in the eastern suburb of Tamarama with backdrops of Bronte and the Pacific Ocean. The first one looks quite Dali-esque. Time And Motion really stands out beautifully! That's such a spectacular setting for the art! Some very unusual but eye catching work in those. 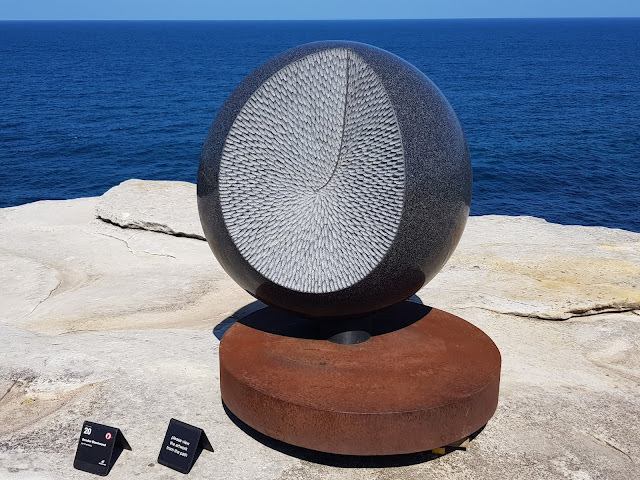 I believe some at Bondi are also displayed at Cottlesloe. that surely is an interesting event. my interpretation of "embrace" was completely different. Great sculptures all around. And quality photos of them. 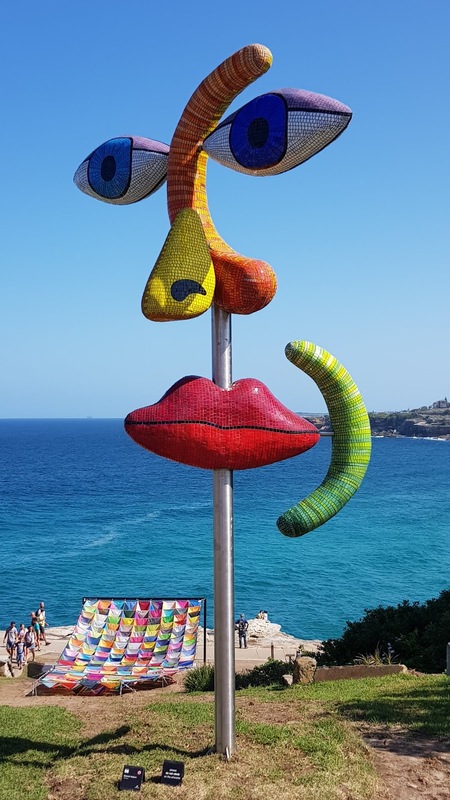 I was lucky to see the sculptures in Sydney this year and enjoyed the walk and the art. Not into modern sculpture but some of the designs were intriguing. The face made me smile! 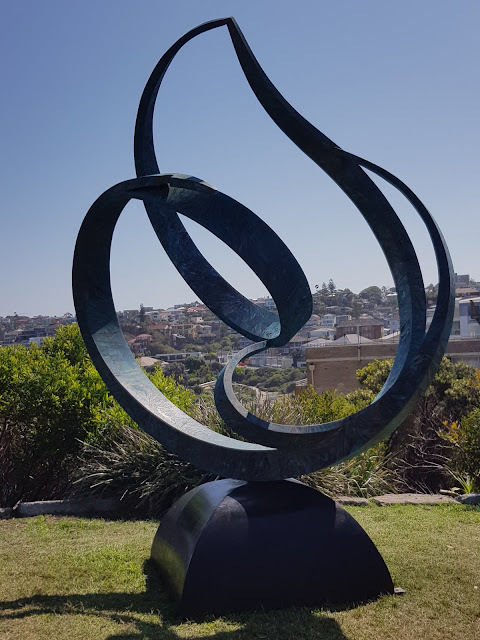 I love a good sculpture walk! Embrace really caught my eye. Wonderful pieces in this group, Jim!